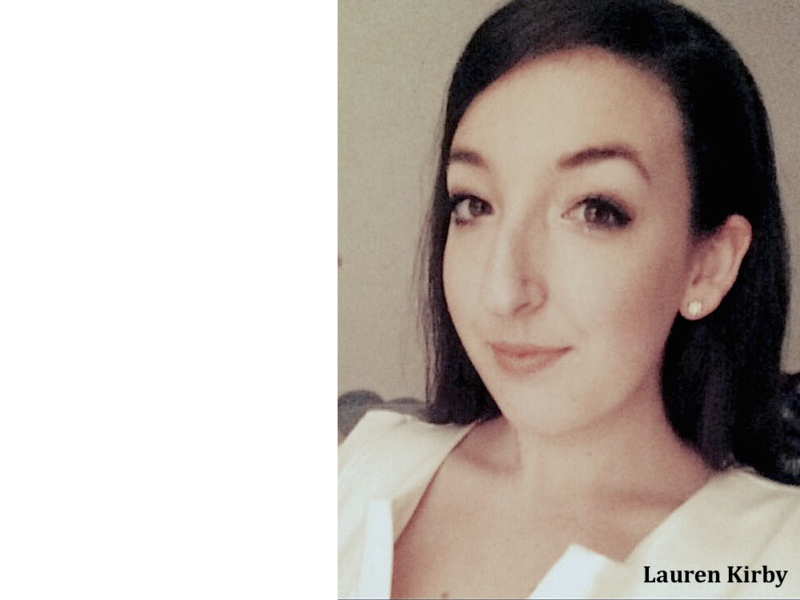 Hello and welcome to our GoFundUs page! 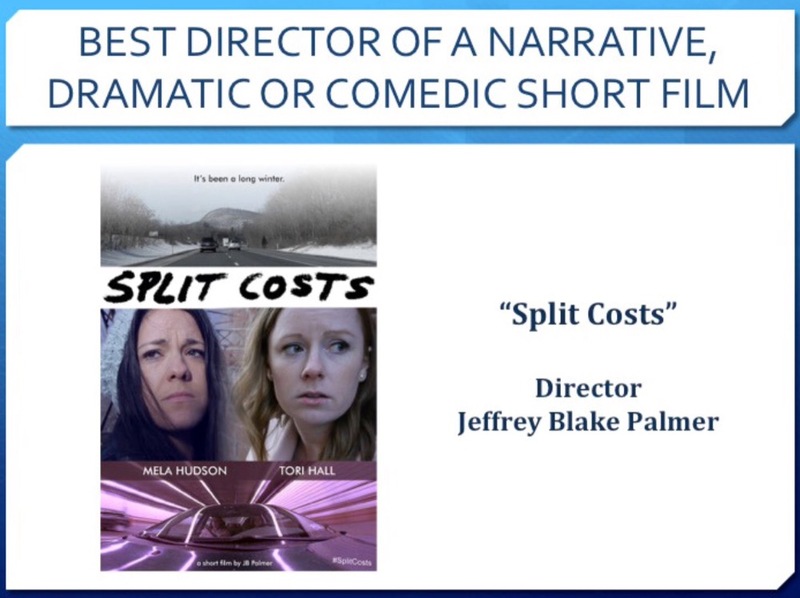 Many thanks in advance for taking a moment to learn about our film SPLIT COSTS. The cast and I are aiming to shoot in February. 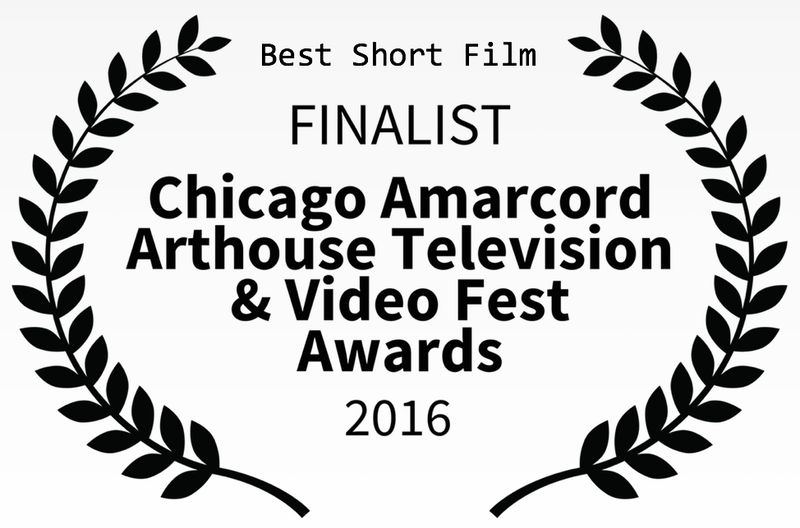 I'm an independent filmmaker located near Boston, Massachusetts and making movies is my passion. 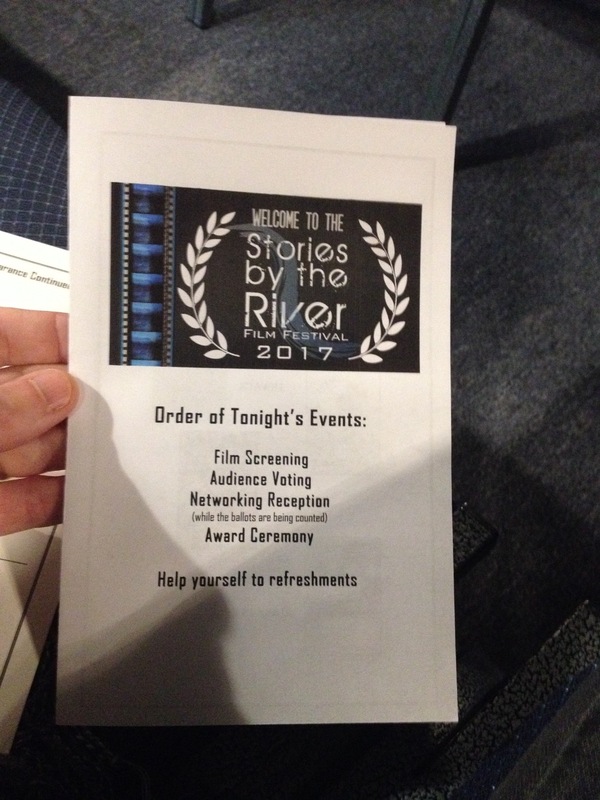 Over the years I've directed features, short films, award-winning music videos and documentaries and have also written numerous screenplays that have been optioned, produced and claimed several awards. One aspect of filmmaking that I am very interested in is dramatic storytelling with a focus on intimate scenes charged with emotional volatility. The quiet that goes boom, the calm and the storm. Characters whose lives collide and sensibilities contrast is the type of material I really enjoy creating and capturing with inspired actors. 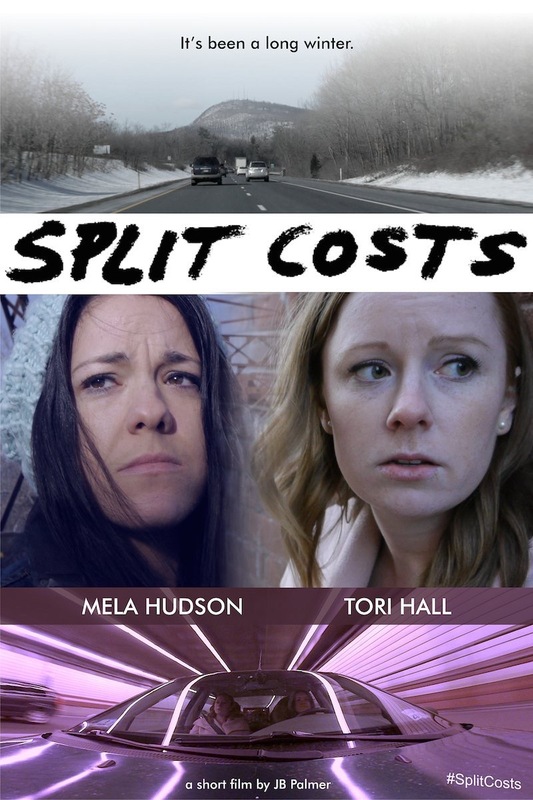 SPLIT COSTS is an 18-page script set in New England during the dead of winter. 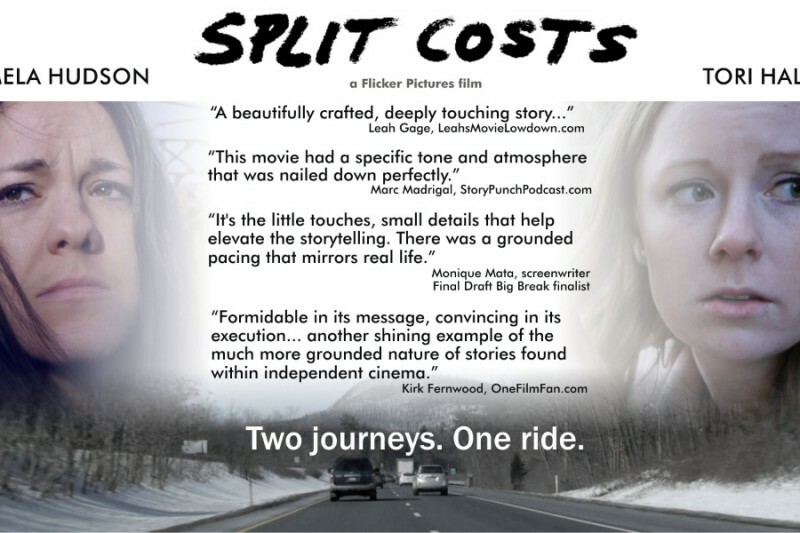 Two young women from disparate backgrounds share a ride to western Massachusetts where traumatic setbacks force each to make pivotal decisions at an unforeseen crossroads. The story touches on fractured family dynamics, substance abuse, LGBT issues and explores what everyday people do when their lives are thrown into an unexpected tailspin. Mela Hudson and Tori Hall have been cast in the lead roles, Emma and Judy respectively. Each actor brings a unique and nuanced quality to her character; qualities which make cinema worth watching and will make this a story worth telling. Tori Hall: "I have always been drawn to roles that speak to the general public, which is what I saw in the role of Judy; she is so relatable and real, people of all ages who see Split Costs will feel the emotion and relate to both characters in some way. I am so excited for this project!" 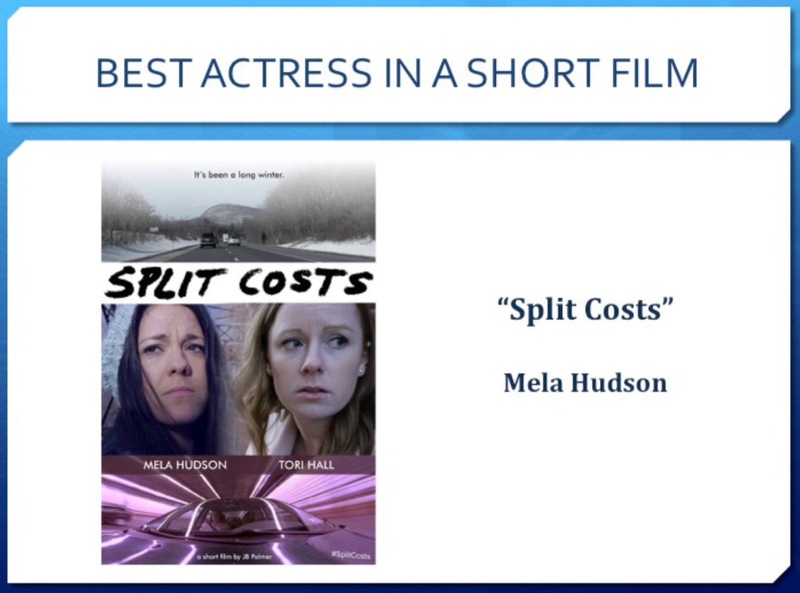 Mela Hudson: "What really drew me to Split Costs and Emma's character is the story's complexity. When Jeff introduced me to the script, I was immediately drawn to its depth of realism and the relevant issues the story touches upon. That's why I love filmmaking; we're letting people know they're not alone in the world and I think this story will definitely connect with audiences." 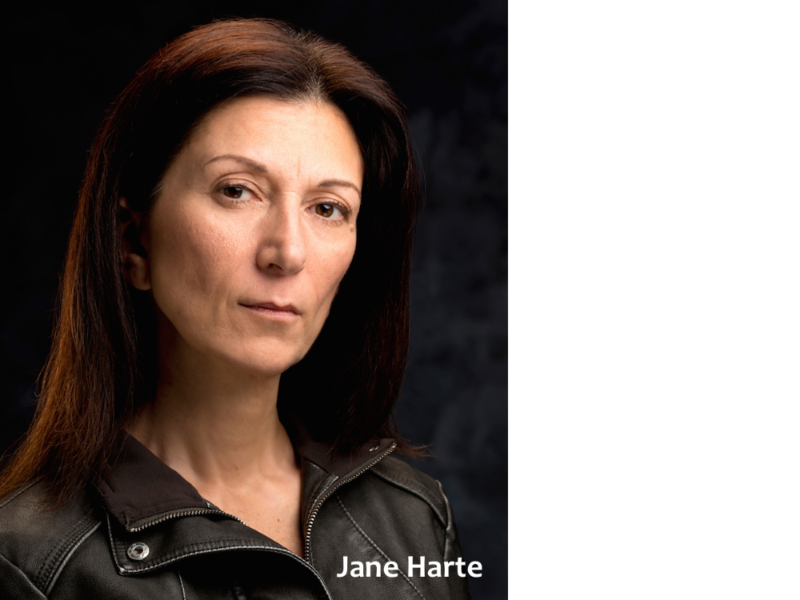 The cast also includes Boston actress Jane Harte who will be playing the role of Emma's mother Brenda and Lauren Kirby will be playing the role of Helen, Judy's girlfriend. 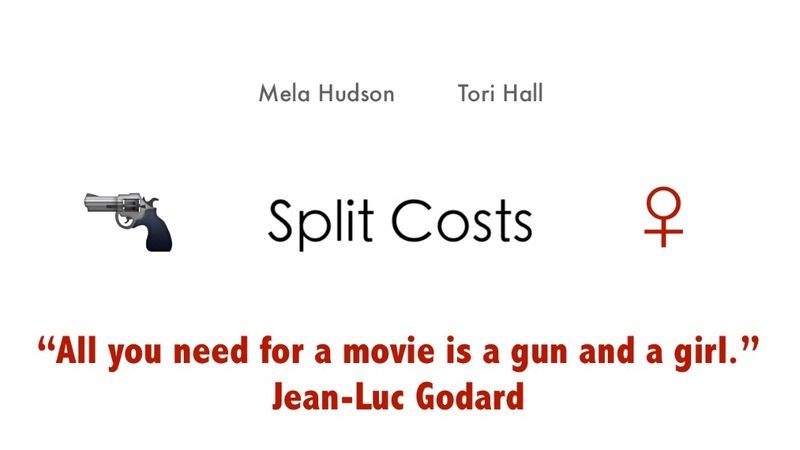 Funds for SPLIT COSTS will be used for 'hard costs' such as lodging, food, travel, props, sets, and locations. 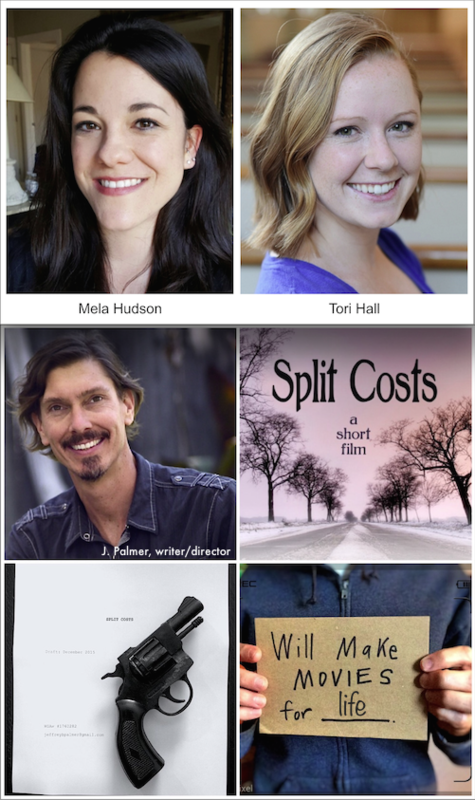 I wanted to keep our budget reasonable as the cast is small and the crew will primarily be myself behind the camera, producing, directing and editing. 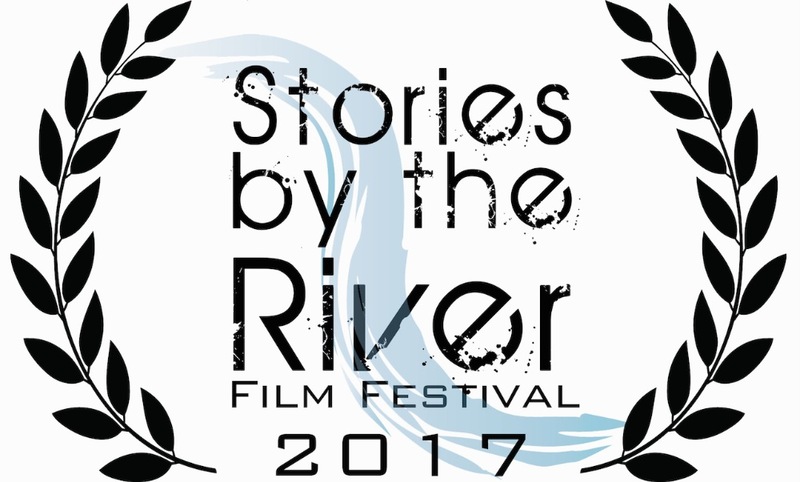 As team leader of this short film, I will do my utmost to keep everyone updated and informed as the filmmaking process evolves. Your contribution, no matter the amount, is deeply appreciated. We want to reward you with an exceptional movie, not with a bunch of marketing materials or soulless schwag. Funds that can end up on the screen instead of silkscreened on a tote bag make for a more satisfying filmed experience, wouldn't you agree? That said, your generosity won't go overlooked! It is with deepest sadness that I share the terrible news that Mela Hudson has passed. I am not aware of the circumstances surrounding her death, but it must be said that working with her on Split Costs was a creative highlight of my filmmaking career and her joyful, generous and kind spirit will always remain with me. I was blessed to know her and only wish this news wasn't true. My heart goes out to her family and close friends. If you would like to make a donation, here is a link below with that information. I hope everyone is doing well and enjoying this mild winter! Wishing you all a productive and joyous 2017. Happy October, folks! Hope everyone is doing well. 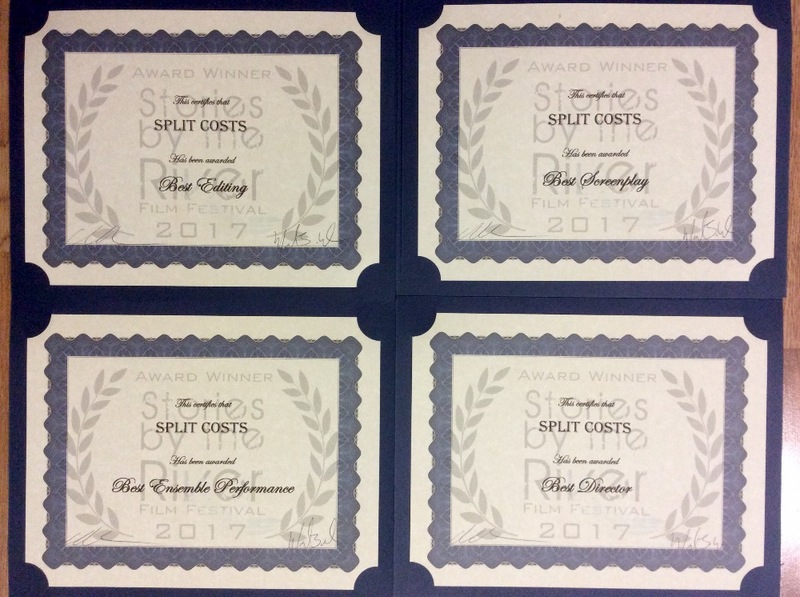 While I am busy at Boston University, Split Costs continues to tour the festivals and get some attention. 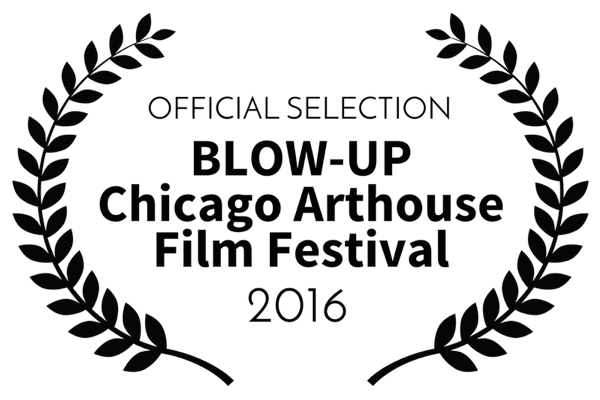 Mela and I are nominees at the 2016 SOFIE Short Film Awards, Mela took an Award of Merit at the Best Shorts Competition and we got word that the film is a Official Selection at the esteemed Blow-Up Chicago Arthouse Film Festival. All of these links can be found on the press kit by clicking the images. Thank you Jeff for taking the time out of your busy agenda to thank everyone for their donations for Split Costs. Wishing You and the Cast best wishes for a tremendous and rewarding ending to your Movie. Good luck with your movie Jeff!